La Giovane serves more than 40 clients, including worldwide leading companies such as Max Mara, Marella, Diffusione Tessile, Coccinelle, Bormioli Rocco, Bormioli Luigi, Columbus, Proda, Cattani-Esam, Smeg, Stef Italia and Wittur to mention just a few. La Giovane has 100% control over the companies Piazza S.r.l. and L.G. Logistics S.r.l. and a substantial shareholding in LA C.A. Servizi S.r.l. and in PVS Services Italia S.r.l. PVS Services, a strategic client operating in e-commerce, has outsourced the management of all its logistics to La Giovane. From 1987 to 2016 growth was constant, from € 2,950,000 to over € 38,000,000 revenues and from 145 members to a total of 788 members and employees. On 06/16/2017, the operational headquarters of Gainago - Torrile was inaugurated. 34,000 sq. m. of warehouses equipped and dedicated to logistics management of customer products, in particular of the glass and e-commerce sectors. 16,000 sq.m. computerised warehouses with video surveillance system. Dedicated logistics management for Coccinelle. Ironing, preparation, storage and forwarding of garments. 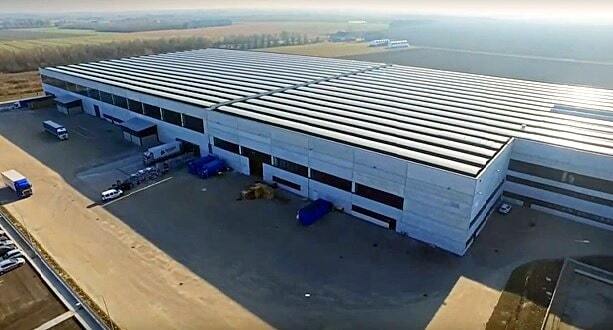 10,000 pallet spaces with order preparation and freight forwarding service. with the construction of the new facilities in Via Azzoni: 2500 sq.m. warehouse and 300 sq.m. offices. La Giovane evolves from a Cooperative of carriers into a logistics company increasingly specialised in outsourced inventory management. In the early 80s we moved from our small offices in Via Bologna to the new facilities in Via Pasubio and in 1983 the number of members grew to 35. Our Cooperative was founded in 1973 by 23 members-carriers, who signed their first contract with the glass factory Vetreria Parmense Bormioli Rocco. La Giovane was born. The first financial year closed on 31.12.1974 with a turnover of 160 million Liras (the old currency).